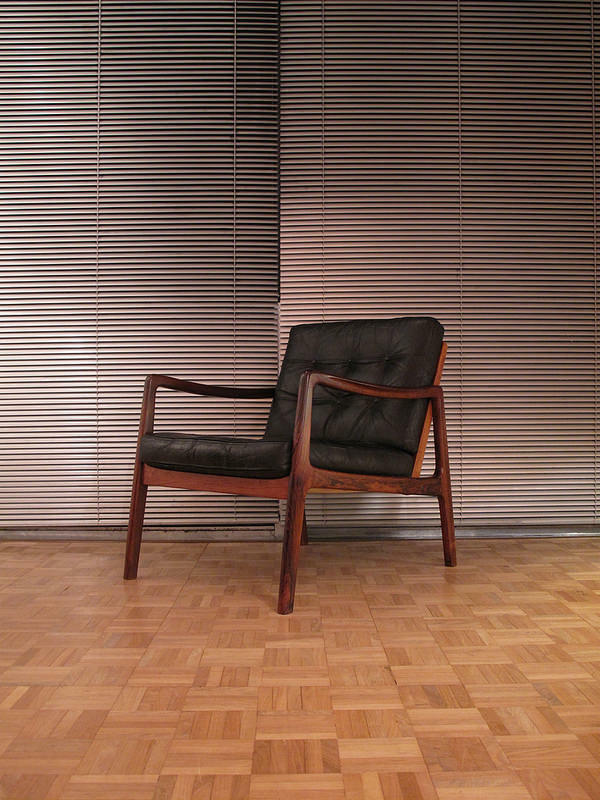 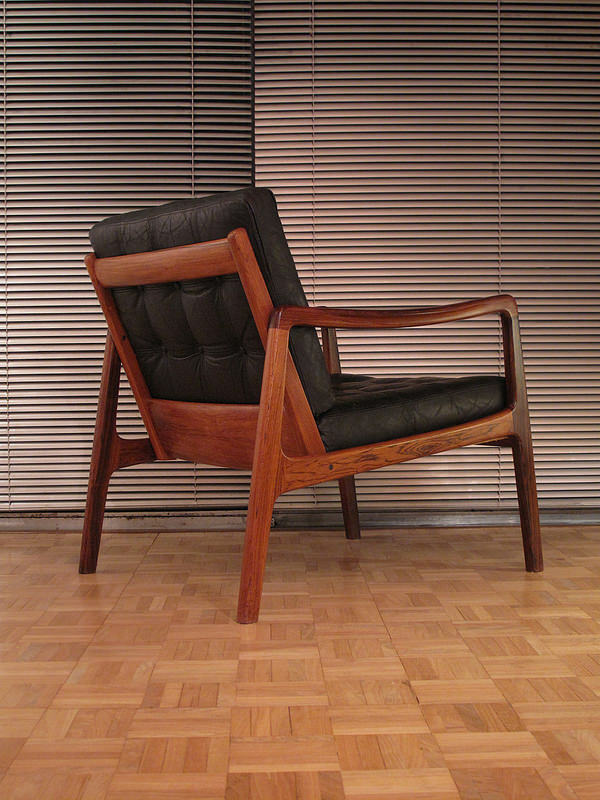 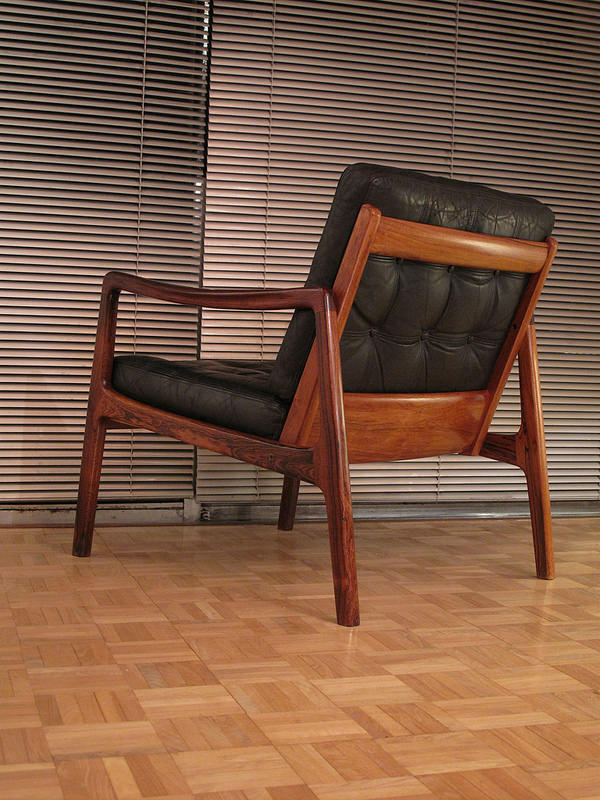 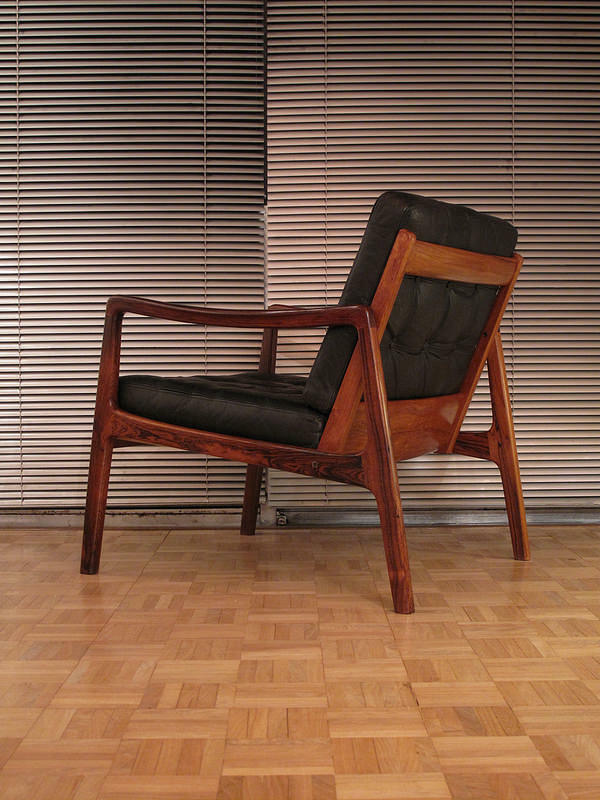 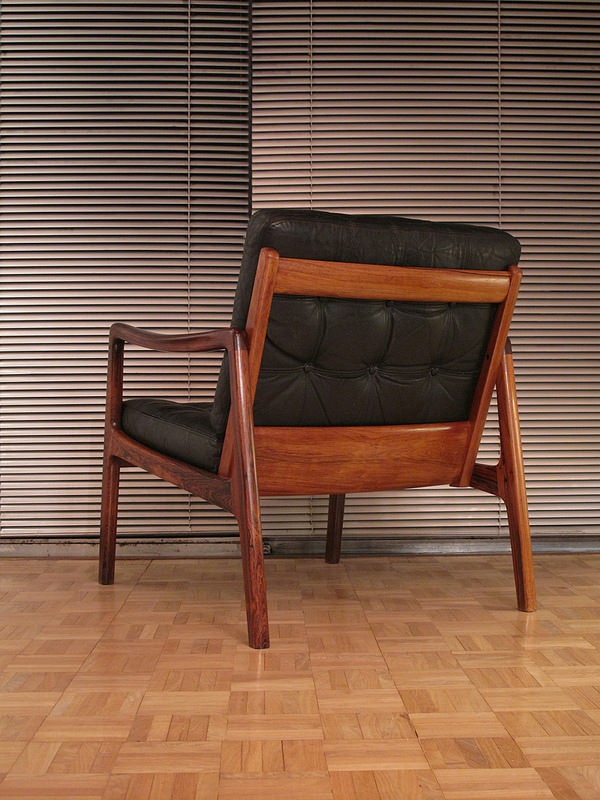 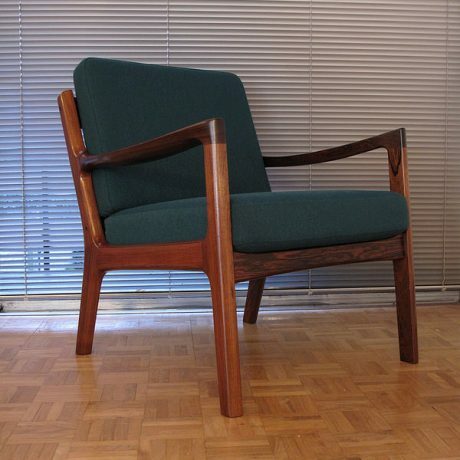 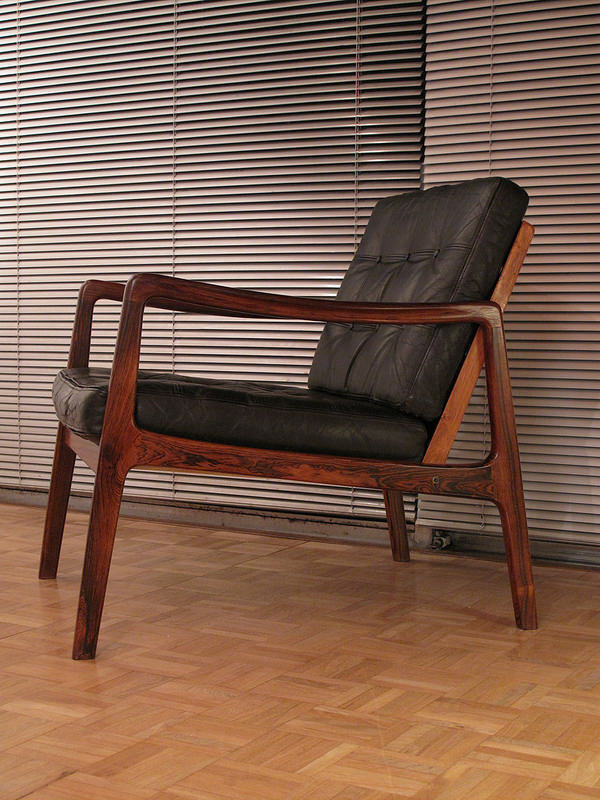 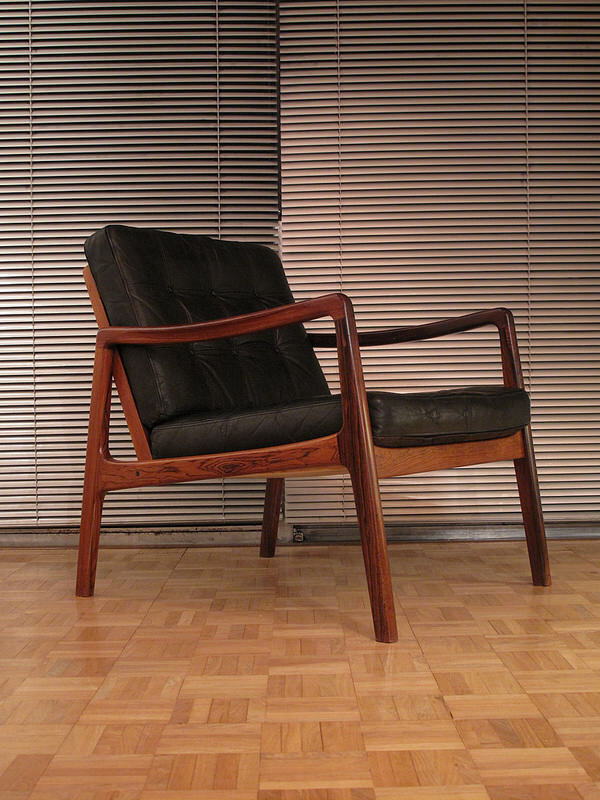 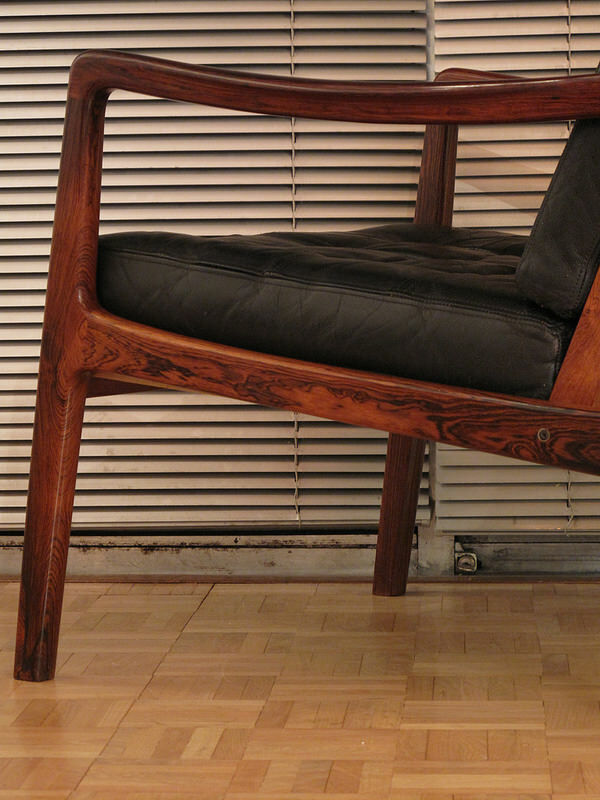 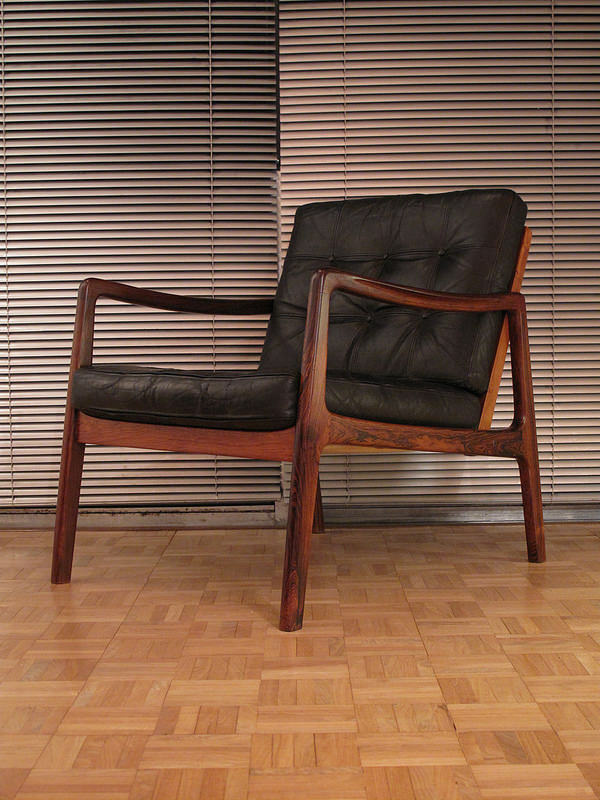 Very very hard to find Brazilian Rosewood edition of the Model 119 lounge chair designed by Professor Ole Wanscher. 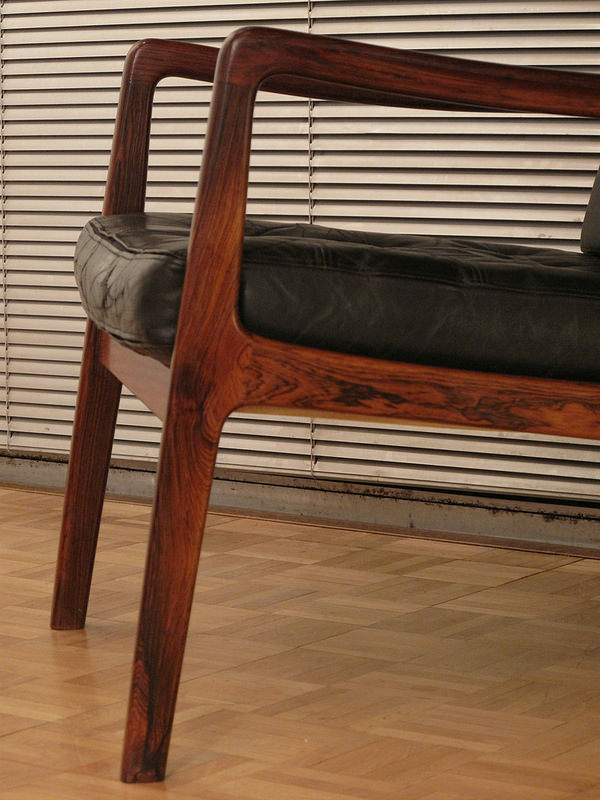 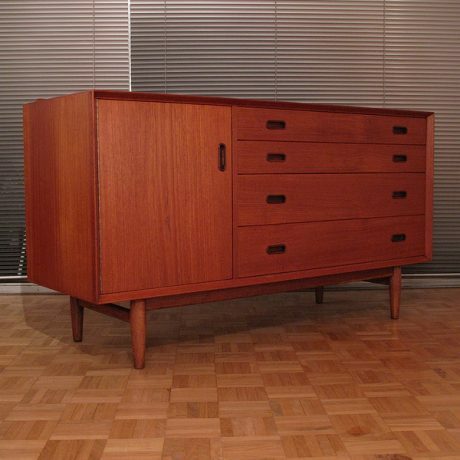 A masterclass in minimal fluid lines this design from 1952 looks amazing finished in this exotic hardwood. 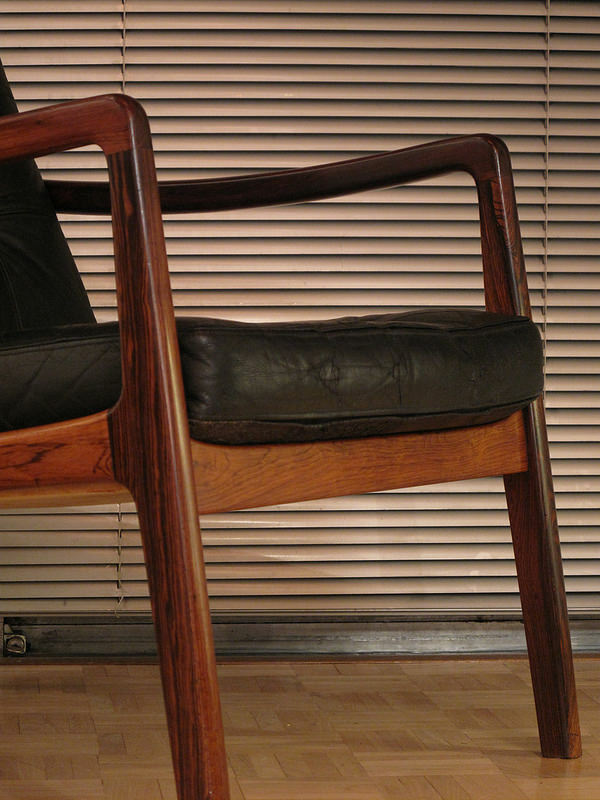 The chair features its original leather cushions which are filled with France & Sons patented ‘Lastofran’ for an incredibly soft and comfortable seating experience. 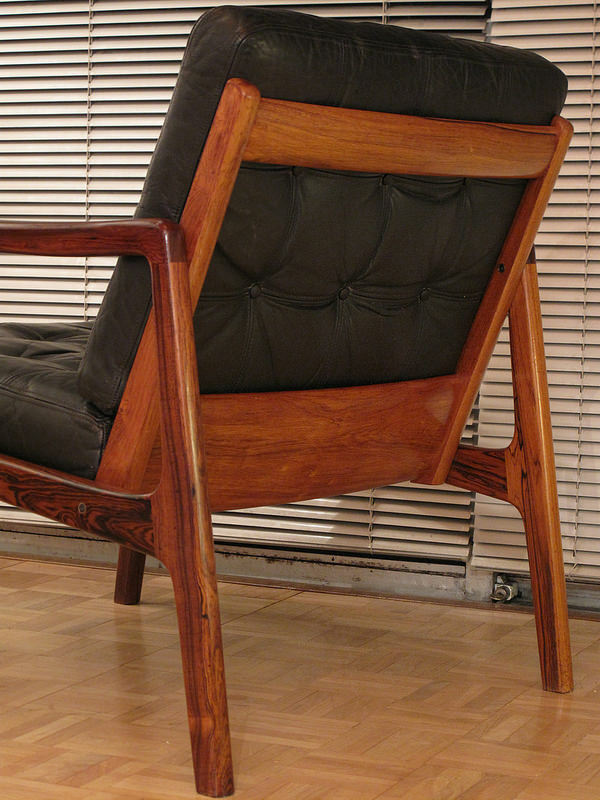 We also have an associated Model 120 rosewood rocking chair available on a separate listing.